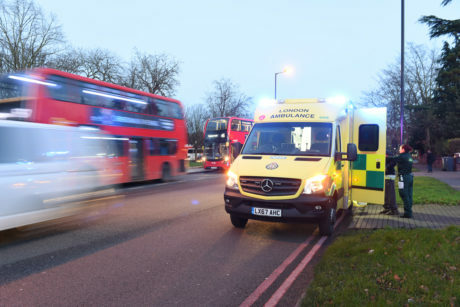 London Ambulance Service comes out of special measures today following the Care Quality Commission’s latest report which rated the organisation as ‘good’ overall and ‘outstanding’ for patient care. In November 2015, London Ambulance Service was rated inadequate by the CQC and put into special measures. In today’s report, the CQC said staff often went above and beyond their expected duties in order to meet patient needs. Inspectors saw and heard about examples of the commitment of staff from patients, acknowledging that the Service was involved in treating those involved in the tragic major incidents in the capital last year, including the London Bridge and Westminster Bridge terrorist attacks. The inspection team also found that staff working across all parts of the Service demonstrated care which was consistent with the values of the Trust, that staff treated patients with kindness and empathy, and afforded patients privacy and respect. The CQC also reported on a ‘well-led’ inspection where they found highly trained ambulance personnel and staff with specialist skills and expertise within areas including maternity and mental health. 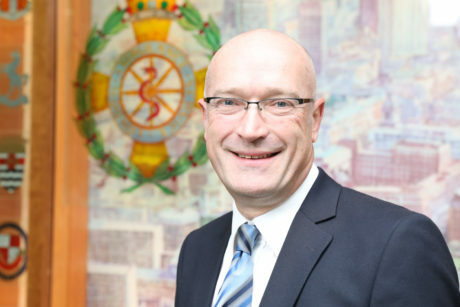 London Ambulance Service Chief Executive Garrett Emmerson, who joined the Trust in May last year, said: “I am delighted the dedication and hard work of staff throughout the Service has been recognised by the CQC. Examples of outstanding care from staff. In the Emergency Operations Centre, which fielded 1.9 million 999 calls last year, the assessment and support for maternity patients, and those with mental health related needs was excellent. In relation to engagement activities, including voluntary work undertaken by staff. Excellent examples of sharing information and reflective learning with staff through Trust magazines. However, they also said staffing shortages in emergency operations centres (EOCs) must continue to be addressed with shifts staffed to planned staffing levels. In addition, the regulator said sufficient attention should be given to issues including recruitment and retention and development and progression opportunities for BME staff. Chief Executive Garrett Emmerson said: “We know we still need to make improvements and we have been doing so since the inspection that put us into special measures back in 2015. We have made some big changes in how we operate, but I want us to improve even further, with the aim of being rated ‘outstanding’ overall, in two years’ time. “We will continue to focus on recruitment so that our emergency operations centres are fully staffed and our people who work in them have the working conditions they deserve every time they start their shift. And we have a robust strategy to increase our BME representation across the organisation doing as much as we can to reflect the diversity of the city we serve.